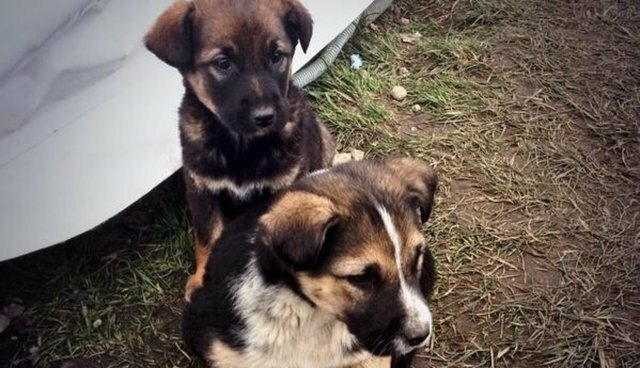 When reporters tried to visit the shelter in Sochi that's been taking in strays dogs and making international headlines, they were met by a team of security, forming a roadblock that wouldn't let anyone in. According to ABC News, the kennel's operator said the animal shelter had become overcrowded with strays, and that no one was allowed to visit. Reporters say that the officers wouldn't identify who they worked for, and threatened to call the police if the news crew didn't leave. When ABC called the shelter by phone, a representative said that because of the publicity, the place is now overcrowded with strays. The shelter, run by Russian aluminum billionaire Oleg Deripaska, has gained lots of attention for taking in the strays, but visitors are having a hard time actually adopting them, due to logistical problems with exporting the dogs. Many, including U.S. Olympic skier Gus Kenworthy and U.S. bobsled team spokesperson Amanda Bird, have expressed interest in adopting dogs -- but have been met by several obstacles. There is hope, though -- Humane Society International is working on ways to help the adoption process and get stray dogs out of Sochi and into the U.S., where HSI President Andrew Rowan said there would be "no shortage of families wanting to adopt the dogs." You can see other photos of Sochi's strays in this gallery. Check out this post to learn about how you can adopt one of Sochi's strays too, or this post to find out other ways to help.